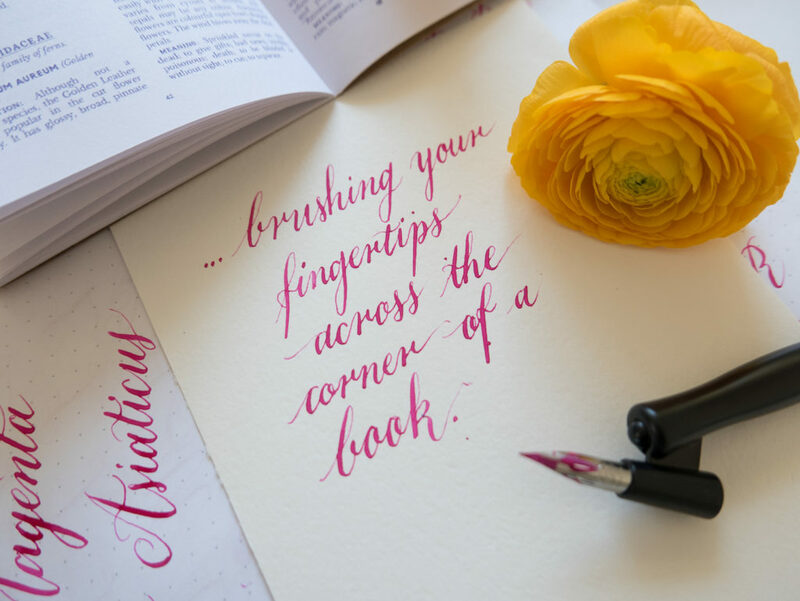 Modern style pointed pen calligraphy has quickly become a favourite of mine, for its elegance, flourishes and contrast. 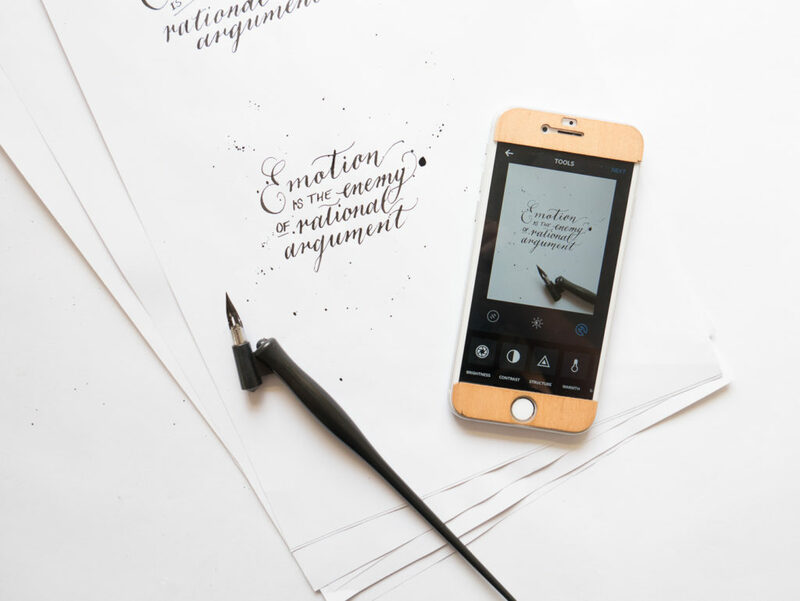 Although usually associated with weddings and vintage inspired correspondence, the base technique of this style has plenty of potential applications in logos and brand elements. 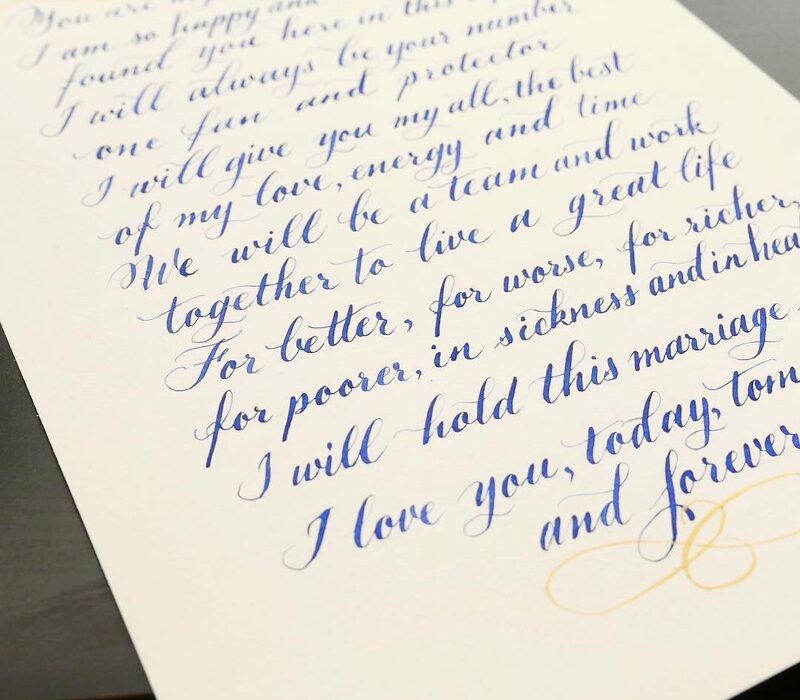 I like to practice this style in personal projects to get a good feel of the letter forms and how they can be refined and manipulated for different expression. Here’s a bit of my recent work. 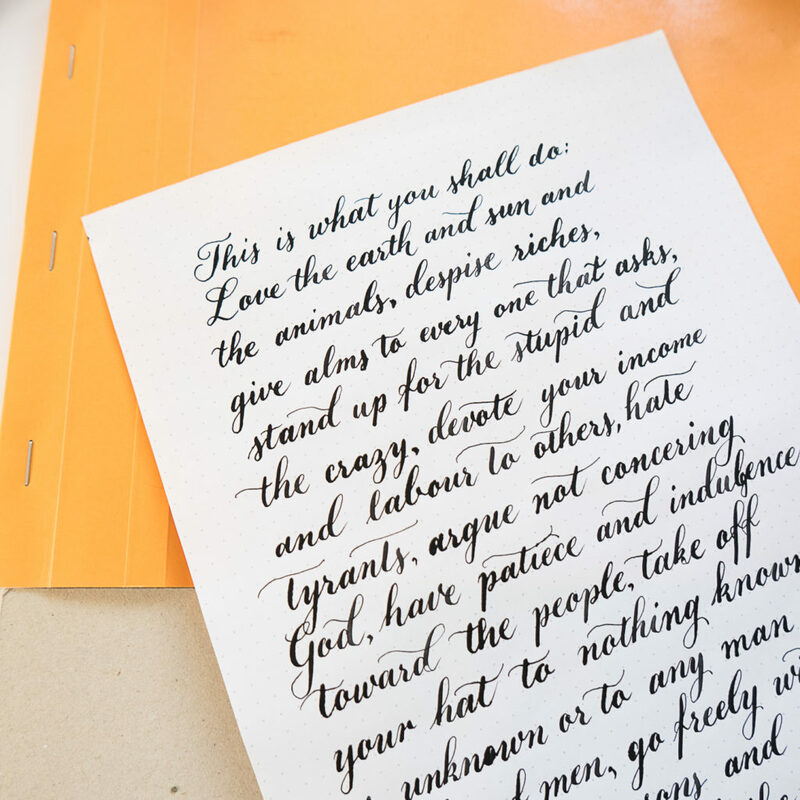 The traditional style of Copperplate style calligraphy makes a nice juxtaposition with modern memes and song lyrics. 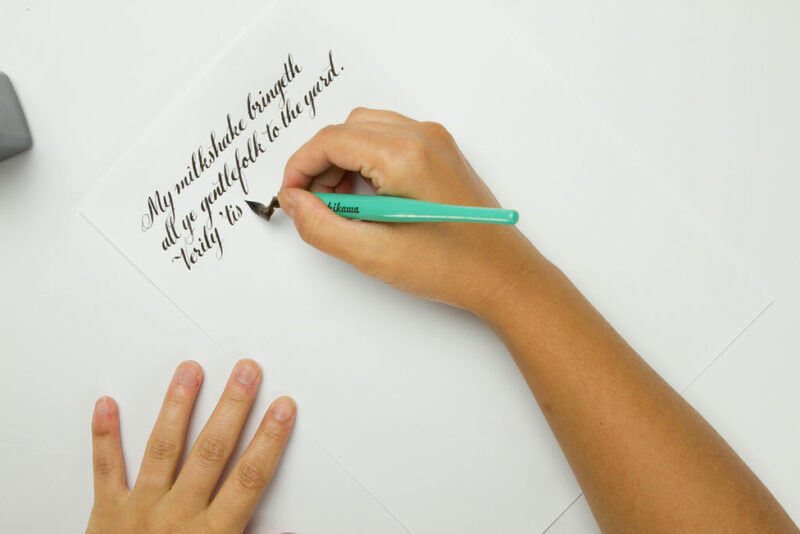 Longer passages in calligraphy require a more even, readable style with enough flourishes to keep things interesting. 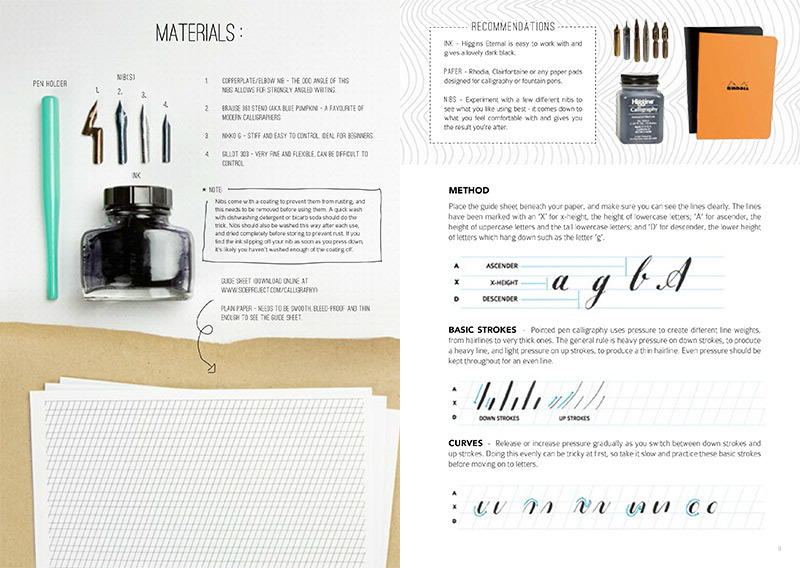 My work was featured in a tutorial in Side Project Magazine Issue 1, teaching readers how to get started with modern calligraphy. Working with colour gouache opens up more possibilities. Words describing the ranunculus flower from Anthologia floral dictionary and poetry. 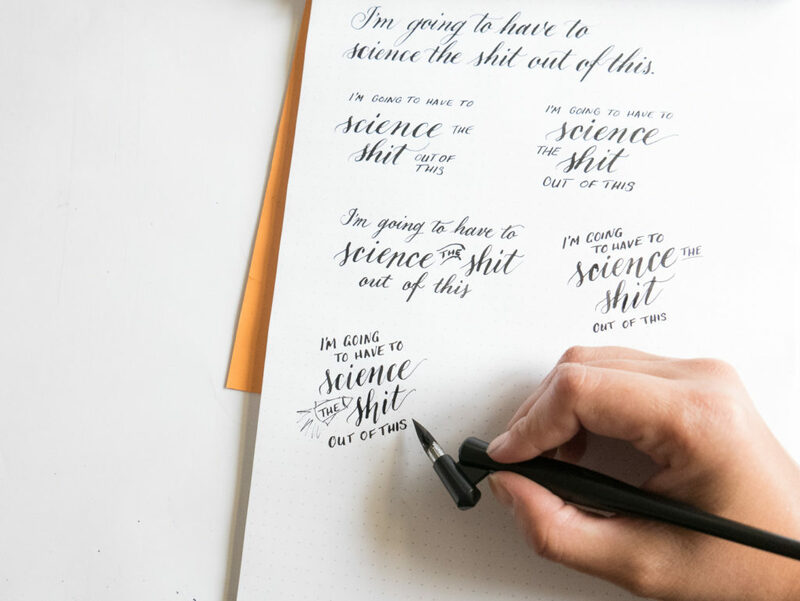 I produced a series of Instagram posts, talking about my process, which includes a lot of scribbles, revisions, and alternative layouts. 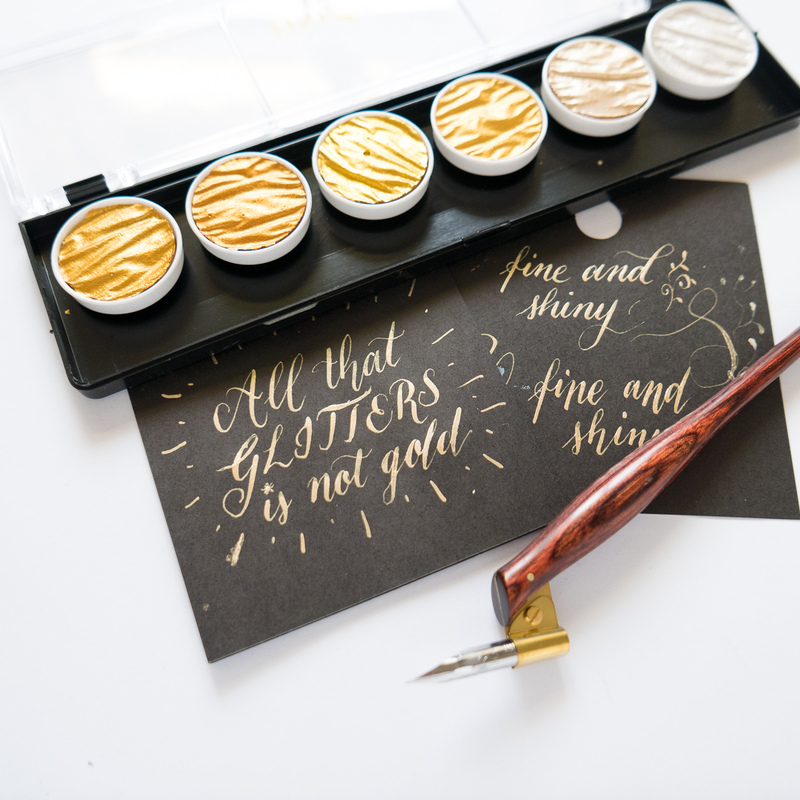 Although it doesn’t always photograph as beautiful as it looks in person, who can resist modern calligraphy in gold watercolour? I usually use it for small touches and embellishments, but sometimes it’s fun to use it for everything.